Ready to make a positive lifestyle change? Pairing regular exercise with a good nutrition plan can make a dramatic impact on the way you look and feel. Treating your body right can improve your overall health and lead to a long happy life. To maximize results from your EMS training it is important to eat right and live a balanced lifestyle. Studio79’s Nutrition Coach, Pooja, can help you identify the best nutrition plan for you so that you can make the most of every workout. 45 minute initial nutrition assessment includes a review of your medical history, lifestyle, and diet. Recommendations are based on client goals. 30 minute follow-up session includes revisiting your goals, monitoring progress and modifying the plan accordingly. You may add follow-up sessions as desired at a cost of $60. Nutrition follow-ups are recommended every 2 weeks. Dietitian services are covered by many employee benefit plans. Check your employer’s schedule of benefits to see if you have coverage. Pooja’s approach to nutrition is based on the principles of intuitive eating. She believes that the body knows exactly which nutrients and the amount of energy it needs and will obtain it accordingly; however various triggers and experiences throughout life affecting mental, physical and psychological states have pushed it away from this equilibrium possibly over the course of many years. Her intention is to help clients first return to their equilibrium, and then further optimize their health and fitness through nutrition education and lifestyle counselling. Pooja is available to see clients on weekday evenings and weekends. 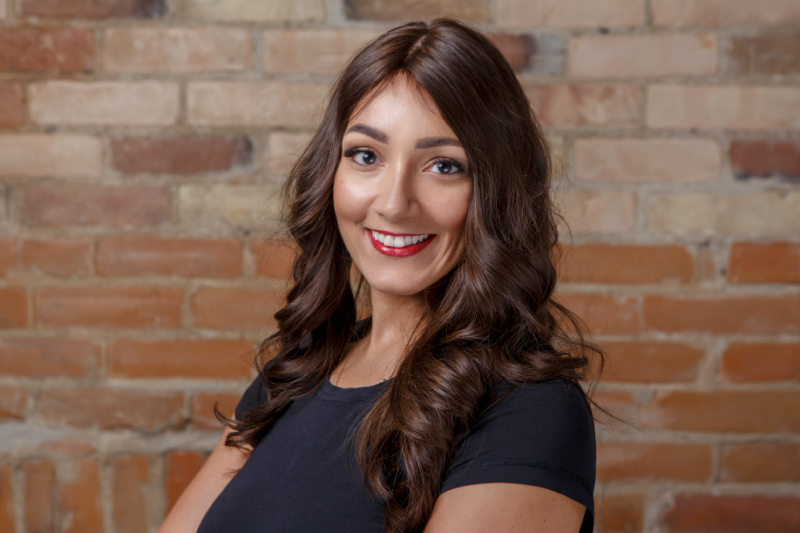 Pooja Mansukhani is a Registered Dietitian and fitness enthusiast who works with clients to help them feel their best physically, mentally, and emotionally using individualized nutrition approaches. In her spare time, Pooja teaches spin classes and volunteers with the Sport Nutrition Network of Dietitians of Canada. She is currently enrolled in an internationally recognized 2-year Diploma program in Sports Nutrition through the International Olympic Committee (IOC). Pooja received a Member Recognition Award in the category of Innovation from Dietitians of Canada in 2016. Pooja enjoys cooking but is a minimalist in the kitchen and is always on the lookout for quick, easy, and nutritious recipes. She and her husband prep almost all of their meals on weekends so that they don’t have to worry about dinners when they get home from work late, or lunches for the next day. Pooja’s favourite kitchen appliance is her Vitamix blender. Her quick breakfast go-to is a mix of coconut and almond milk, protein powder, chia seeds, nuts and berries prepared the night before, and no matter, Pooja always has a vegetable on the side. Yes, you read that correctly, vegetables for breakfast is one of her number one tips for feeling great throughout the day, but if that’s not your thing, there are alternatives! Pooja believes that good nutrition should not only nurture the inside of the body, it should also be reflected in one’s overall mood and energy levels. She seeks to empower her clients to manage rather than control their food choices as they navigate their daily lives. Pooja is continually amazed and inspired by the way the human body adapts and recovers when exposed to various nutrition and exercise stimuli. She believes that results come from individualized training and coaching which is why she works with her own personal fitness trainer and trains at Studio79 weekly. Pooja is excited to work with clients to help them achieve their health and well-being goals through customized nutrition coaching that complements Studio79’s personal training. Nutrigenomix® is a service that provides personalized nutrition suggestions based on your DNA. Using a saliva sample you can now learn what may work for you and eat according to your genes! Are you drinking too much coffee? How much sodium do you really need? Find out by booking an appointment today for your Nutrigenomix® test. In 480 BC, Hippocrates noted that “positive health requires knowledge of man’s primary constitution”. This was just an ancient way of saying that we cannot achieve optimum health without knowing about our genes. We now know that specific variations in our genes can explain how we will respond to the foods, beverages and supplements we consume. Developed by world-renowned researchers at the University of Toronto.